Ah, it's nice to kick off the top five with a Canadian (not that I'm biased or anything). Back in October, I said that "I find Ravedeath, 1972 less interesting than Harmony in Ultraviolet and An Imaginary Country." I would like to revise and correct that statement: Ravedeath, 1972 is every bit as interesting as either of those albums. It might even be better than them. Hearing his set at Moogfest 2011 (when "Chimeras" appears about 2/3 of the way through the set it feels as lighters-in-the-air as the appearance of any artist's hit song in concert) definitely helped change my mind*--as did the release of his excellent set of sketches for the album, Dropped Pianos--but what really won me over was just sustained, concentrated listening. 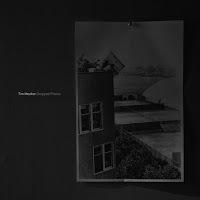 More than that of any other artist on this list, I think, Tim Hecker's music demands deliberate and conscious engagement in order to achieve a kind of immersion. The meaning of his work seems to hang forever just beyond the limits of perception, by design: "I've always been interested in that threshold of being between, of hiding, obfuscating. It's so suggestive." This is not to say that his music is cold and cerebral: one of the best things about Hecker's work is how thrillingly physical it is--this is sound that moves you and that gains significant emotional impact from its very physicality. 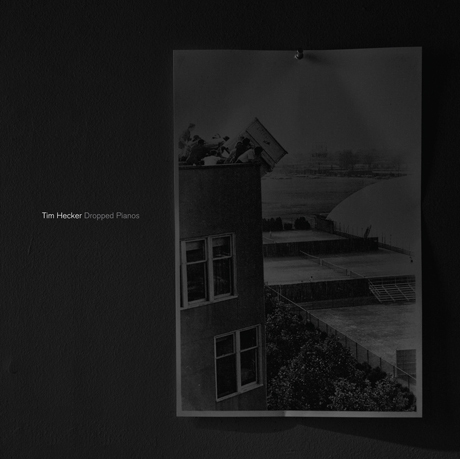 The album's opener, "The Piano Drop," has real weight and depth in its shimmering waves, but it's the rest of the album's foregrounding of the tension between the organic, material process of Hecker's piano and organ playing and the digital process of editing and treating those recordings that presents this physicality par excellence. At the same time, though, and perhaps even more importantly, Ravedeath, 1972 is an example of how far Hecker has come as a composer. As reliant on multi-part suites as anything since his debut, Haunt Me, Haunt Me, Do It Again, this album's "In the Fog," "Hatred of Music I"/"Hatred of Music II," and "In the Air" all take advantage of their extended length to work through several movements. In interviews, Hecker has consistently mentioned church music when describing his own work--he's described himself as "a guy who does things on the borderline between church music and new age" and his music "as something like fake church music"--and, in their immensity, these suites represent Hucker's most fully realized version yet of a kind of secular church music, what Hecker calls "intense saturated musical expression." Though he's been criticized in the past for being slightly too academic, his concern with "digital garbage" and "imploding and rebuilding from the fragments of things that have been kind of pummeled" takes on a new, visceral edge here, as the organ and piano are attacked by digital noise and treatments throughout "In the Fog" and "In the Air" (and attacked is the appropriate verb, as one listen to "In the Fog III" will make clear), exposing the violence of his composition process. Indeed, "Hatred of Music I" is probably the harshest thing he's released since "Whitecaps of White Noise I"--the power of the organ, even without his treatments is a thing to behold. Of course, as in the first few seconds of "In the Fog III" and "In the Air I" or the last few minutes of "In the Air III," his approach also makes for moments of breathtaking beauty. The standalone tracks are not to be outdone in that sense, and their patient, mournful melodies are heartbreakingly pretty, pushing the sounds and techniques of his last few albums to new levels. 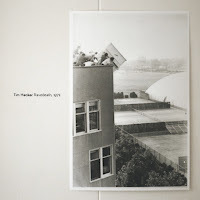 A decade on from his debut under his own name, Ravedeath, 1972 confirms that Tim Hecker's music is sui generis and, just like Burial's, keeps getting better by becoming ever more his own. *Go that link and listen to/download that performance. It's an amazing document of Hecker live and better than any of his officially released live stuff.